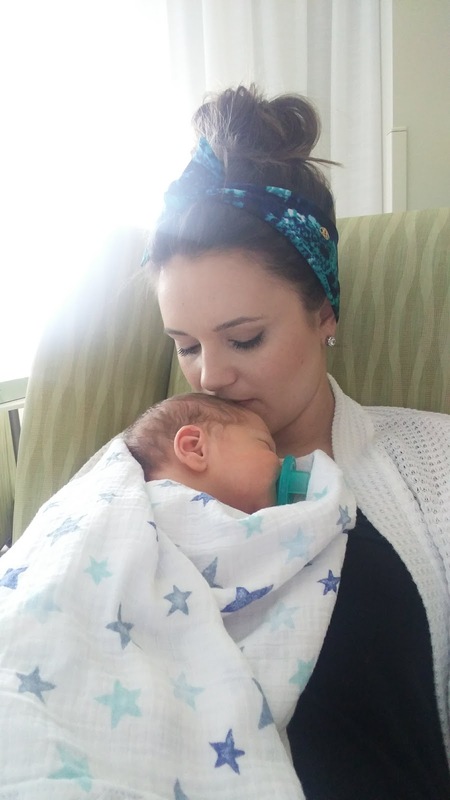 There is nothing that motivates you to get up out of your bed and recover quickly more than the desire to see and hold your baby. As soon as I could stand to get into a wheelchair I did and we headed up to see our sweet boy. Nate had been going back and forth through the night/day and giving me all the updates as he got them. After a chest x-ray, they thought he had a pneumothorax (small leak in the lungs). 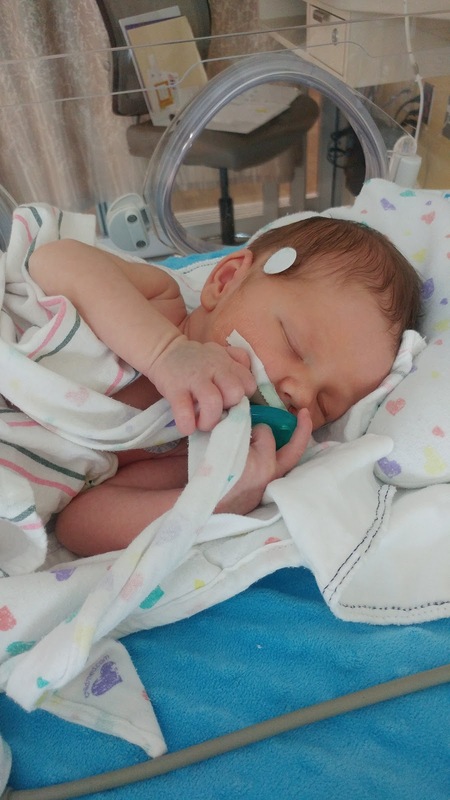 He was also put on antibiotics as a precautionary measure in case it was pneumonia (I say in case because they treat quick when dealing with babies and the test takes a very long time to come back). The antibiotics ended up being a good call as he had a pocket of fluid that was there as well. 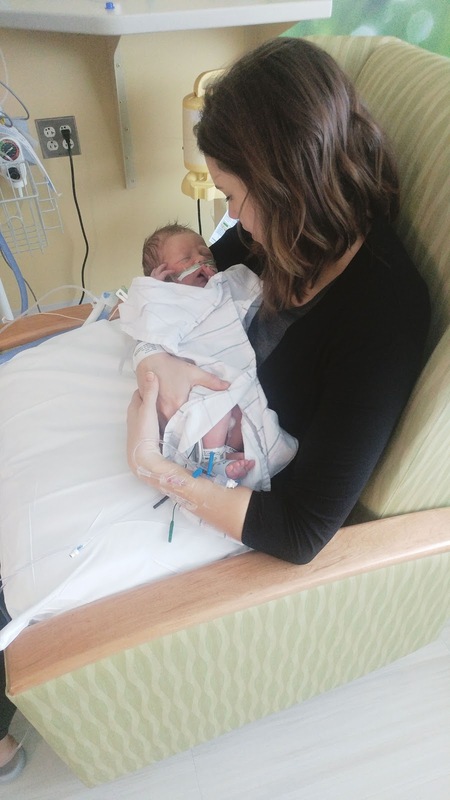 When I went up to see him for the first time that day, they got everything situated so that I could FINALLY hold him. 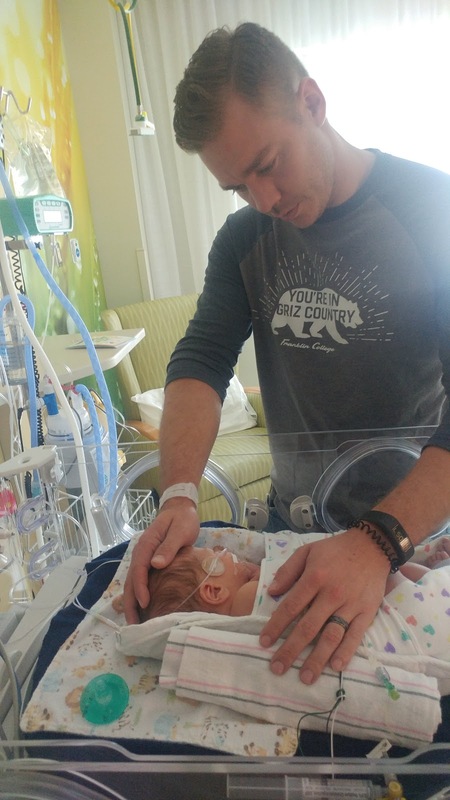 While I was holding him though I could just feel how hard his little lungs were working. 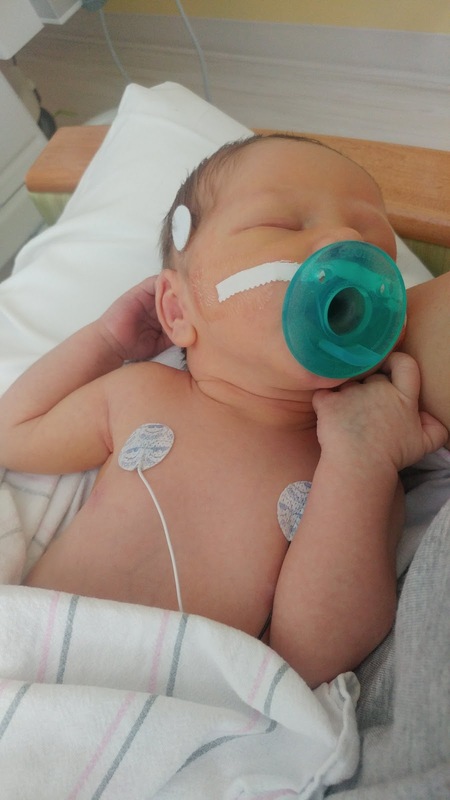 It was such a relief to hold him, but seeing him with all the tubes and wires was so very difficult. Even more difficult was seeing how uncomfortable he was and how hard he was working to breathe. 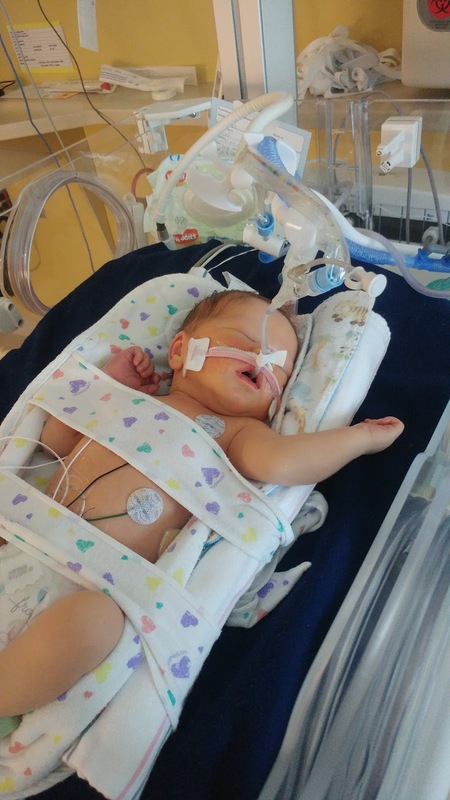 After trying what looked like an astronaut helmet (keeps oxygen levels more concentrated), they ended up decided they were going to put a ventilator in to give him a break. His respiratory rate was up in the 130's (normal is 40-50) when they told us about the vent. At this point Nate still hadn't been able to hold him. 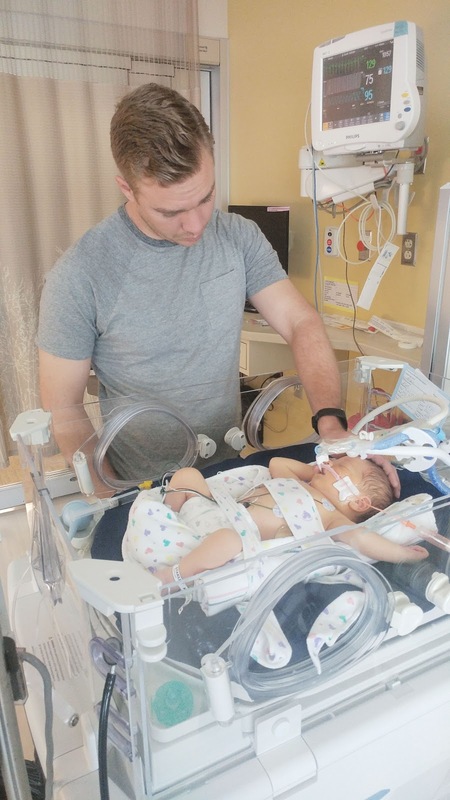 They offered to let Nate hold him before they did these things, he however told them no and to just go ahead with the vent so Hudson could get some relief. It was the most selfless act that both melted and broke my heart. 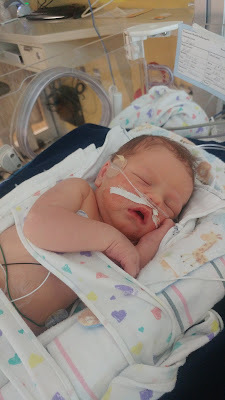 At some point during the night/evening they came in and took the bassinet thing out that he would have been in had he come back to our room instead of going to the NICU. All of this was hard to handle on its own, but watching them wheel that out and then staring at the empty space made it worse. In the morning we went up to the NICU to get an update. His labs cam back normal, respiratory rate was down near the 50-60's and his x-ray of his chest was looking a little clearer. 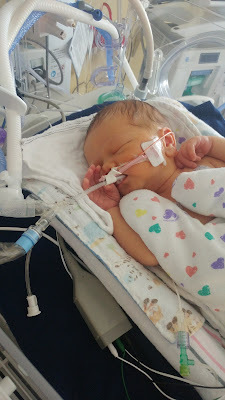 He was locked in for a 7 day stay in the NICU at this point to finish the cycle of antibiotics, but they were actually thinking it would be more like 10-14 days total. We ended up checking out of my room this evening. Insurance covered another nights stay for me, but with Leighton at home we knew it was the right thing to do. Hudson was sleeping most of the time and we couldn't hold him or comfort him really, so we decided that we would just come up a few times throughout the day for a couple hours at a time to be with him. 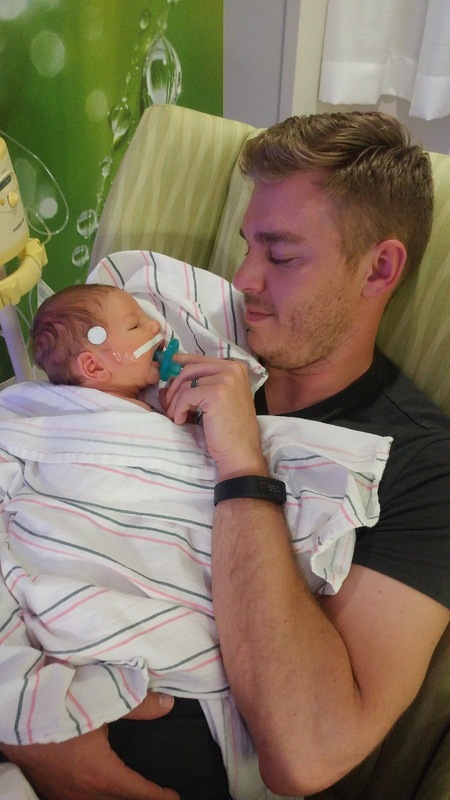 We also knew that being home with Leighton was just as important for him. 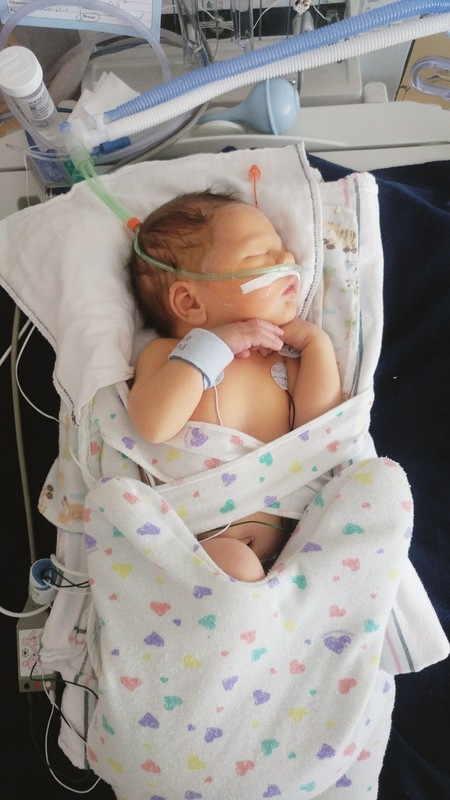 Being in the NICU with a full-term baby is a crazy world of emotions, and it isn't something you are prepared for obviously. 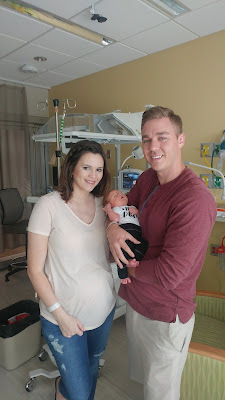 We would see couples coming to visit their premie babies and they always had smiles on their faces, and there we were with our full-term baby not knowing what was going on and looking incredibly sad. 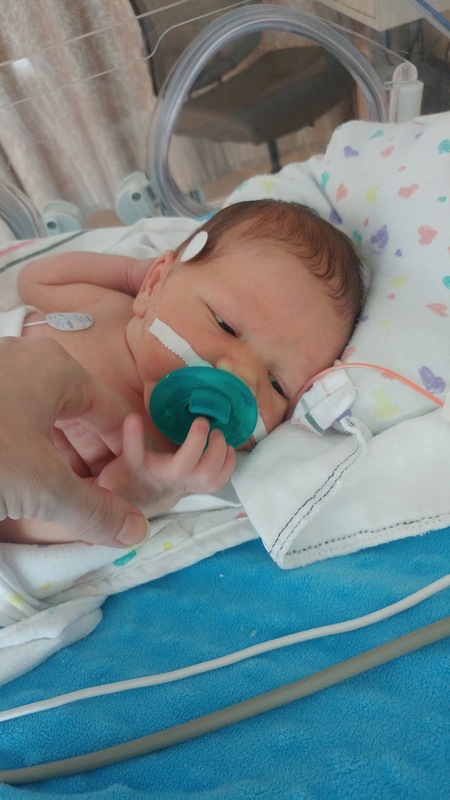 Hudson's respiratory rate had come down a bit, still with a little help from his vent. He started to try and take his tube out as he had become aware of it, but the staff wanted it in a bit longer. Because he was fighting it so much they discussed the possibility of needing to sedate him a bit to keep him calm. 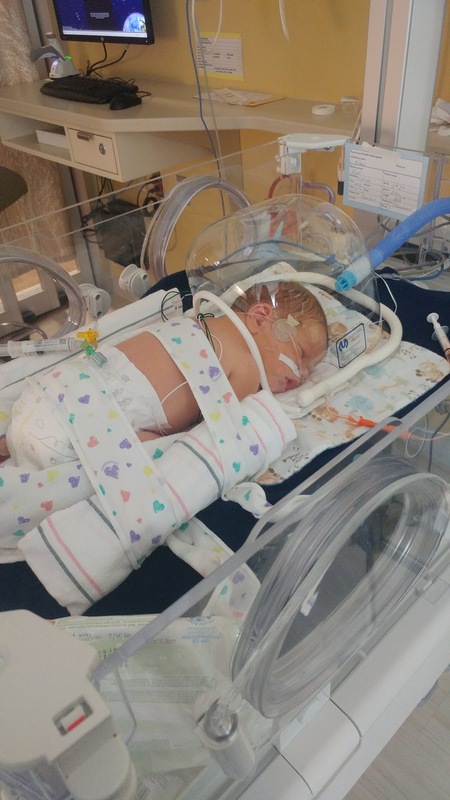 The x-ray was still showing fluid in his lungs, but it again was improving. 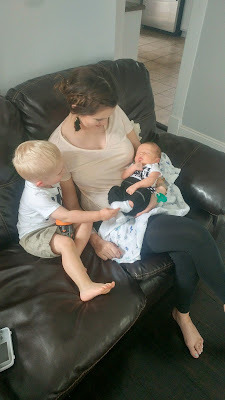 We continued visiting with him for a couple of hours here and there throughout the day, and then went home to spend quality time with Leighton in the afternoons. After he went to bed we would head back to the hospital again. 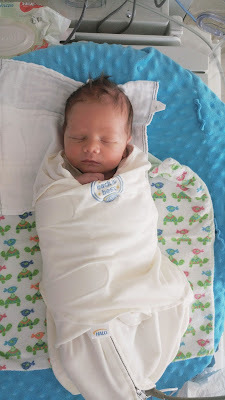 At some point I went from only producing a few drops to producing full bottles of milk and I can't even tell you how much of a relief it was for me. Being so helpless while your child lays in a hospital bed is the worst feeling, and when you are able to do something that is helpful (product milk) but can't it makes it all the worse. 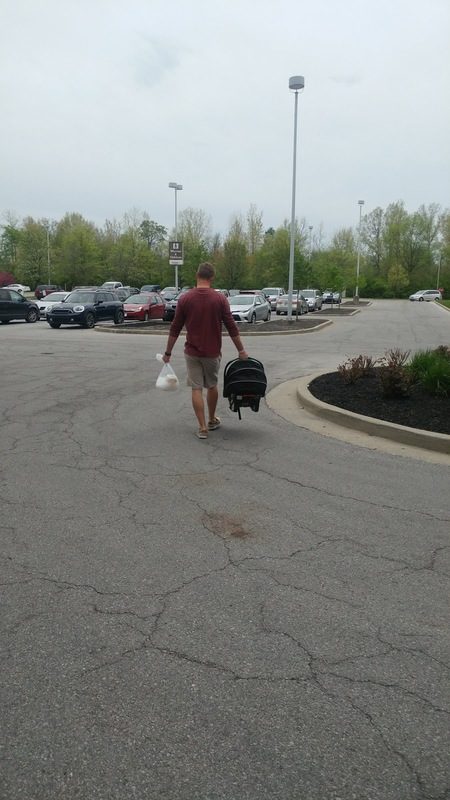 I felt so, so helpless until that milk came in. 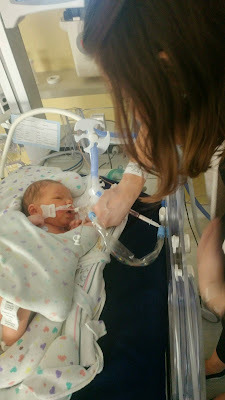 With the ventilator in Hudson was being fed through a feeding tube (both breast milk and formula until I was able to produce enough breast milk to feed him on my own). 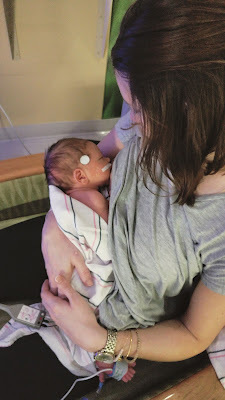 However over the night/early in the morning the vent came out and the possibility of oral feeds were becoming more real. 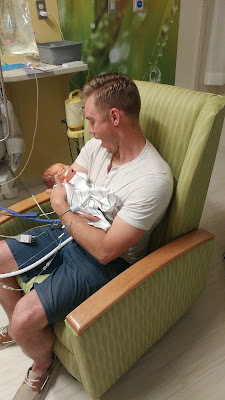 After the vent came out I held him again, and then Nate FINALLY was able to hold him. It was one of the most emotional moments of my life to date. The next few days were the same cycle, and I completely believe God was doing everything a certain way so that we had some strands of peace throughout the entire ordeal. Each day was filled with good news leading up to when we would leave for the night, allowing us to go home with clear heads. Hopeful for the next day's progress. There would be a minor setback at night followed by progress again. 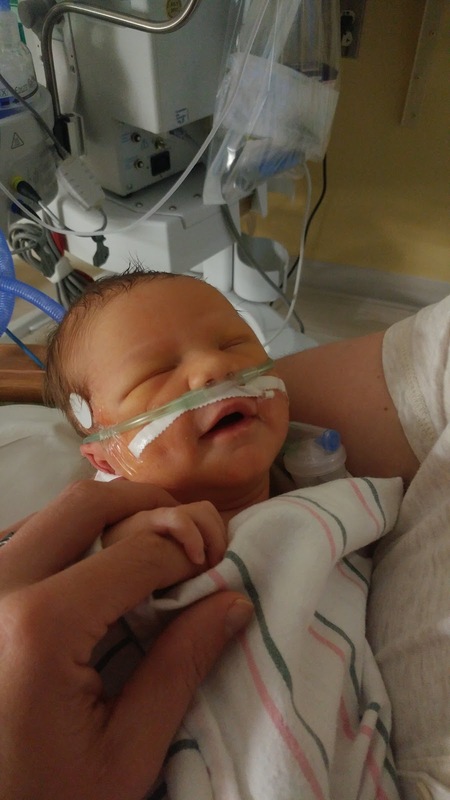 On the second though, I was able to breastfeed out little guy for the first time. That was a huge milestone. 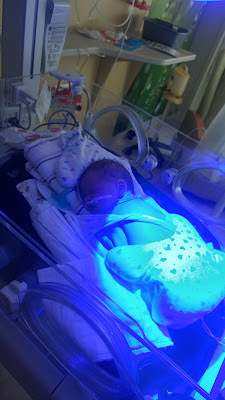 At some point throughout this week, they placed an IV/PIC line to help get his nutrients and fluids to him. He was on oxygen but wasn't dependent on it, and he was getting oral feeds instead of using the feeding tube (it was still placed just in case). We got to the hospital to find out his feeding tube came out during the night (partially his decision as he tugged on it quite a bit). He was off oxygen too. The IV line was still there, but they were hopeful it would come out soon as well. 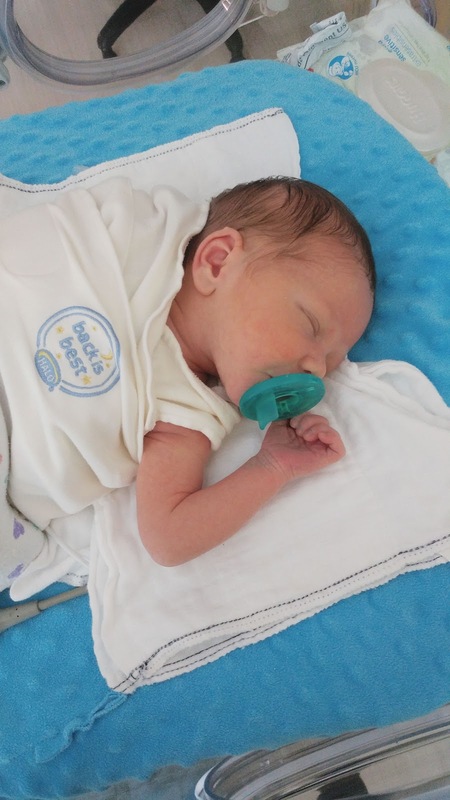 The staff still wouldn't say exactly when he would be able to go home, but we were hopeful that he would be joining us at home sooner than later. Like normal, we arrived at the hospital just hoping for a bit of good news. We were greeted with amazing news though. Our baby boy was coming home with us. To say we were thrilled is an understatement. We left the NICU that day with full hands and full hearts. Our baby was joining us on our ride home and he FINALLY was going to meet his big brother. Our original plan was for Leighton to visit in the hospital and meet his baby brother there, but flu season made that impossible. 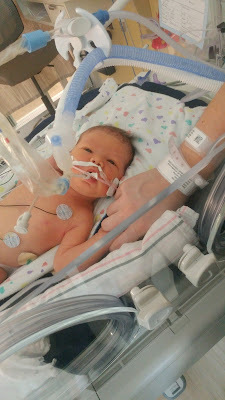 Also, we didn't want him to be scared of all the wires and tubes attached to Hudson either. Since bringing him home our lives have been so full. 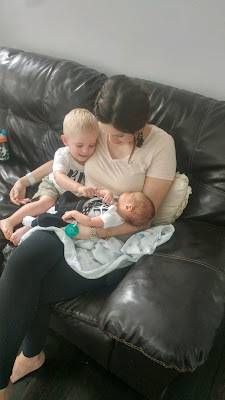 I've said for a while that I just want two boys and I really can't imagine our life any other way. We will never be able to fully express how genuinely thankful we are for everyone's thoughts and prayers during this time. The support we felt from friends and family was immense and helped us so much along the way. My heart goes out to all of those who have experienced life in the NICU, from a day stay to months. Newborn/family pictures are up next! Thanks for reading!